Summary of Customer Support Center: A brief introduction of this center. 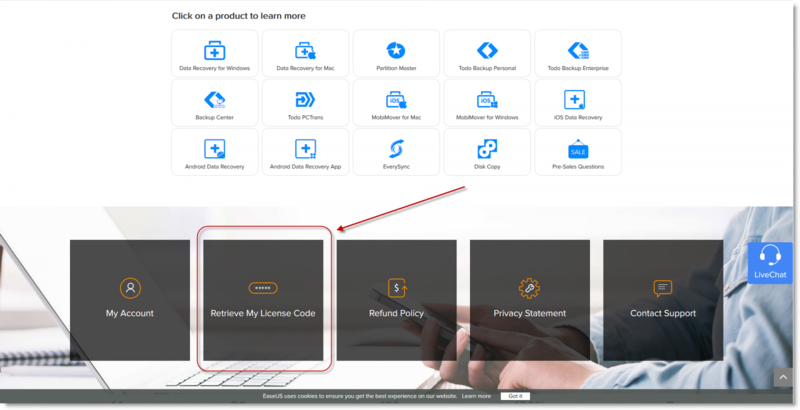 Retrieve My Code: If you still cannot receive the license code after half an hour, refer to this method to get your code. 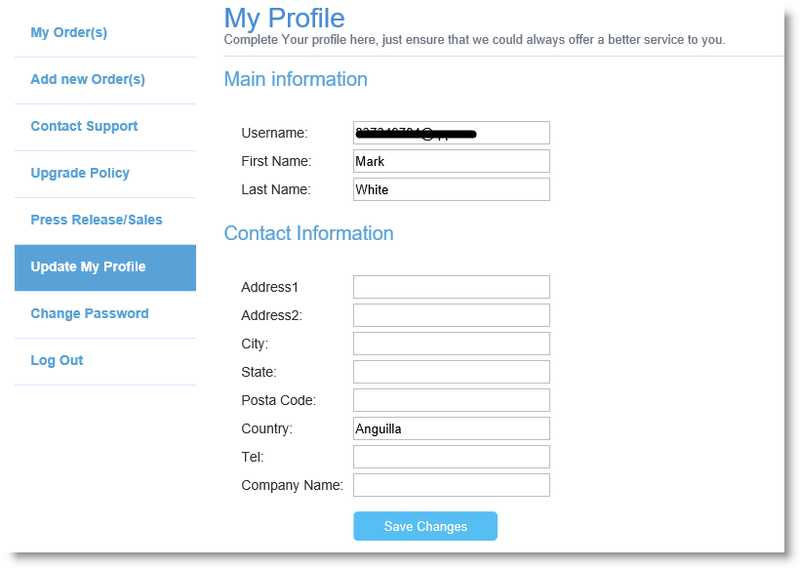 Account Registration: Register an account in our support center to manage all the orders purchased from our company. 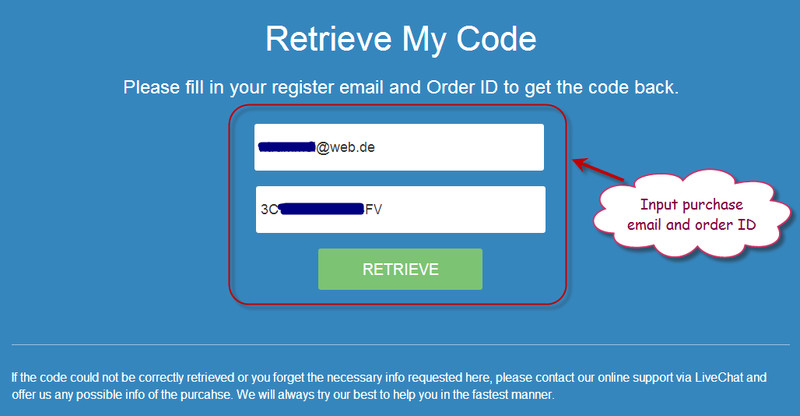 Orders Registration: Add the order ID to your account after login, then you will get the order details in the account. 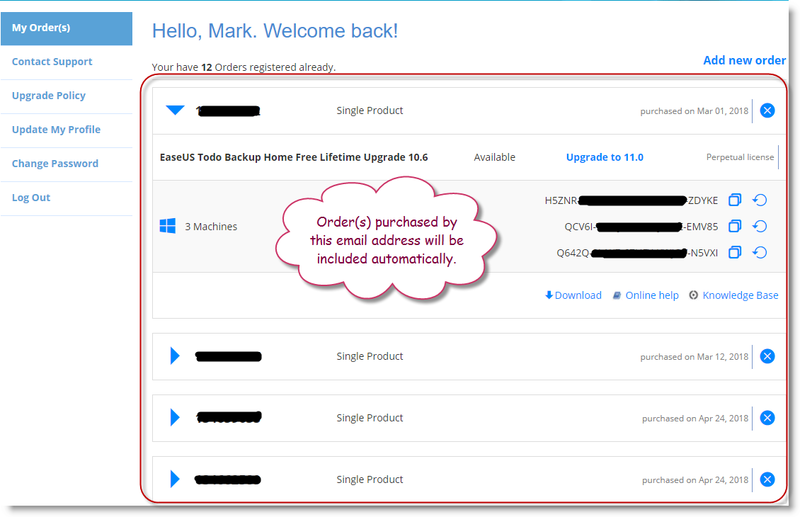 Products Download: Once you add the order to your account, follow this guide to download the product. 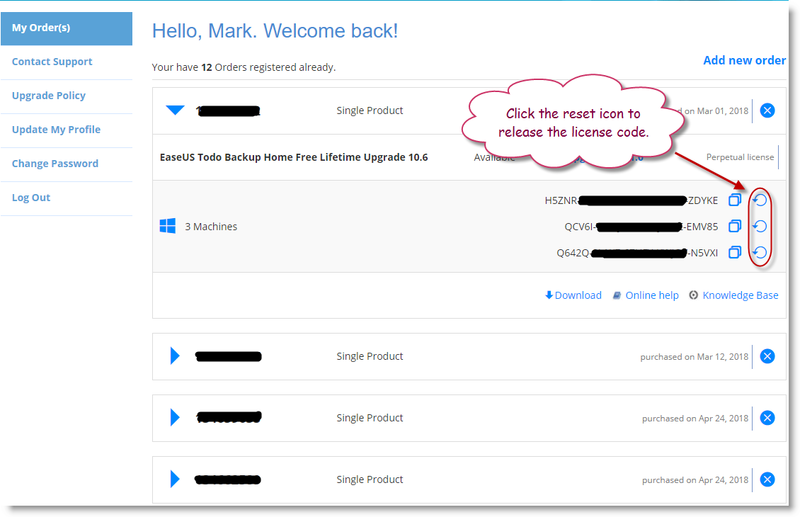 Reset License Code: Release the license code when you need to re-activate our product after reinstalling operating system or changing the hardware or computer. 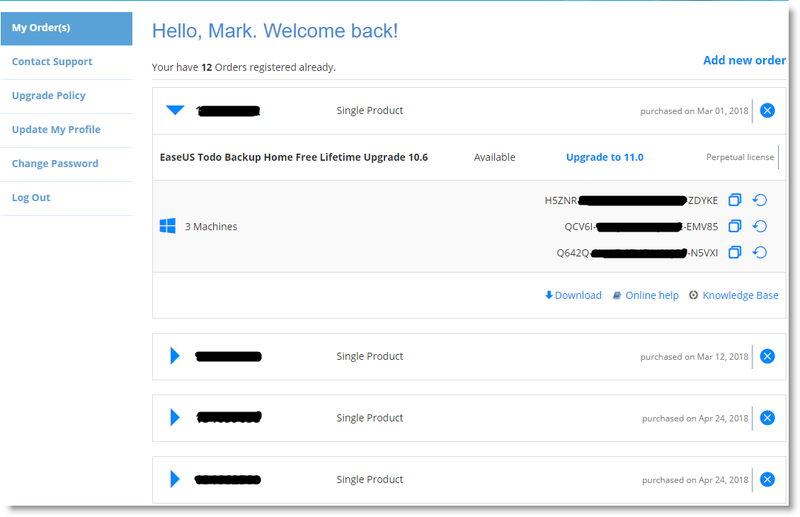 (1) My Order(s): The details of the order will be listed here so you can download, upgrade and get the license code of the software. The license code can be also reset in this page. (2) Add new Order(s): If you have new orders completed, just add it to your account in this page. After that, the new order will be listed under My Order(s). (3) Contact Support: All contact methods of our team can be found in this page. You could select the proper way to contact our team to get more help. 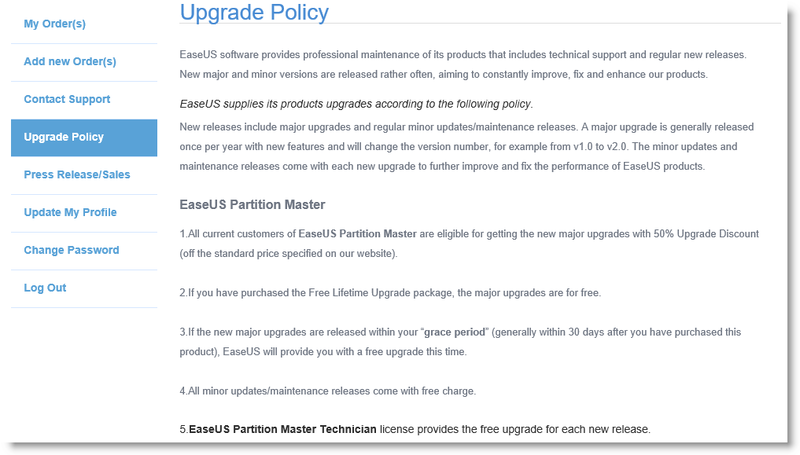 (4) Upgrade Policy: It introduces how the upgrade of our products work to you. (5) Update My Profile: You can change the pesonal information of the account in this page. (6) Change Password: Allows you to change the password of the account. If you placed the order but didn't receive the license code after ONE hour, even having checked the Spam folder, please visit the Support page to retrieve it. (1) Input Purchase Email and Order ID and click RETRIEVE. You could also register an account to manage your order(s) in the Customer Support Center. 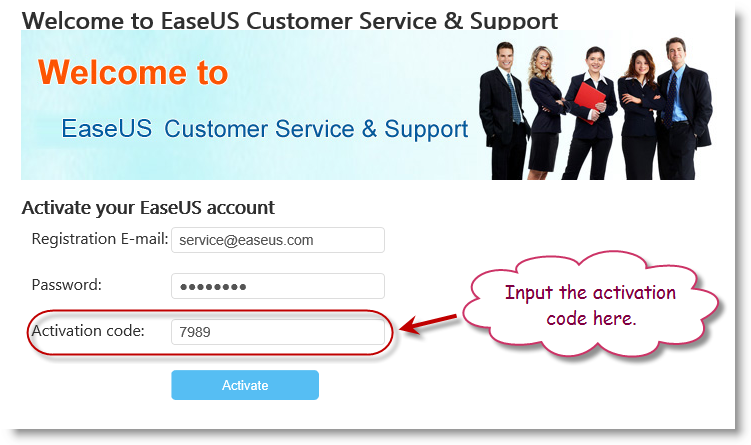 (1) Click Sign Up in the login page (http://my.easeus.com/). (2) Fill all required information and click Register Now. (3) Then you will get the following message. (4) Go to the mailbox with which you used to register the account to get the activation code. (5) If you cannot find the email, please check it in the Spam folder. 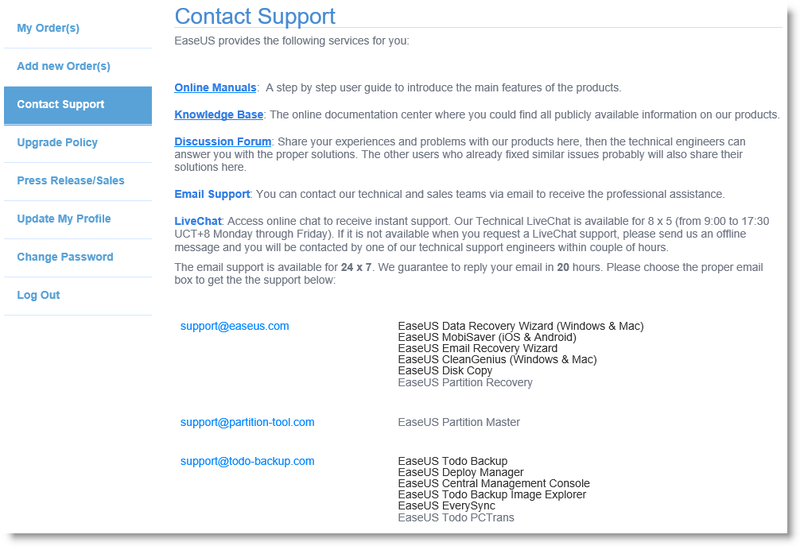 If it still does not exist, you could contact support@easeus.com. 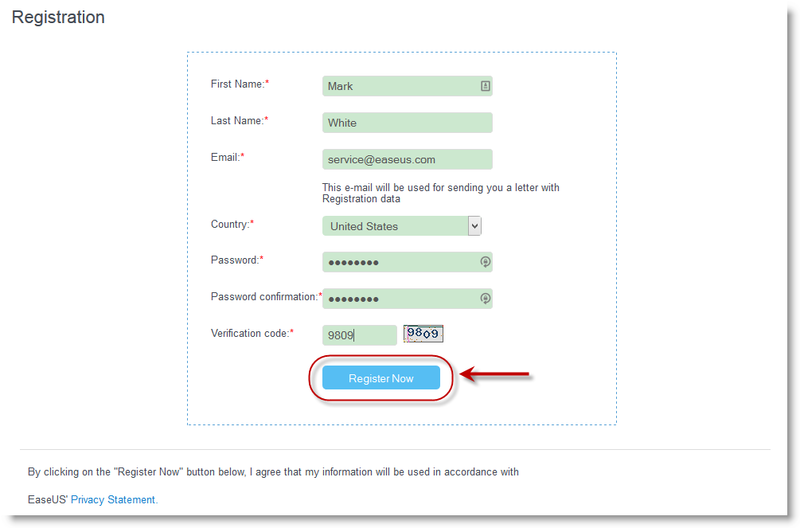 (6) Visit the link in the email and input the proper information to Activate the account. (6) You will log in the customer center automatically and the orders billed by your email will be included. (1) Click Add New Order(s) in the My Orders(s) page. (2) Input your Order ID or Reference Number in the box, then click Search to confirm the order first. If it exists, please click Add to add the order to your account. (3) After clicking Register, you may see either of following messages. (a) You have registered the order(s) successfully. (b) Please refresh the browser and confirm if the order has already been added to your account. (c) Please check if you input wrong order ID or reference number. (4) You will see the order is listed. If you cannot see the order(s), please click Log Out and try to log in again. (5) If you want to remove an order from your account, please click the X icon to delete it. 5. 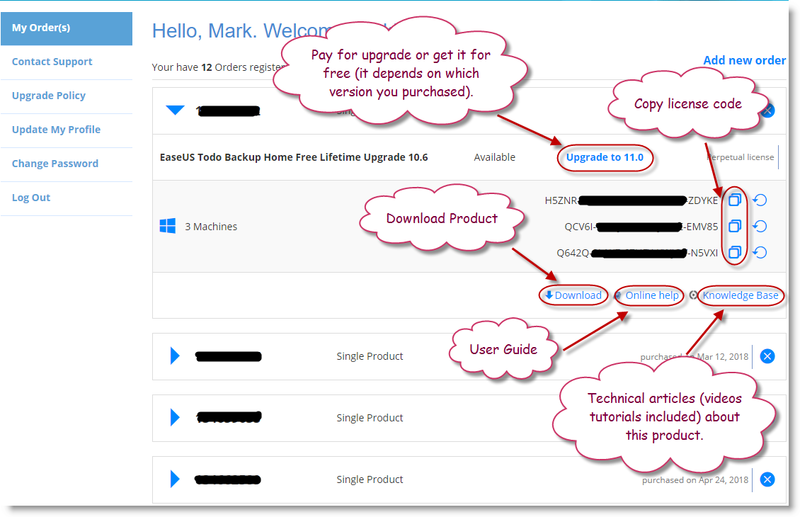 How to download products. (1) Make sure that you have registered the orders. If not, please follow How to register order(s) to finish the registeration first. (2) Click My Order(s) in the Home page. (3) Click the Product Name to download the software and copy the License Code to activate the software. If you changed the computer or updated the hardware, it's necessary to reset the license code so you could reactivate our product on the new hardware. You could follow the steps below to finish the job by yourself. (1) Log in the Customer Support Center and you will see the orders in My Order(s). 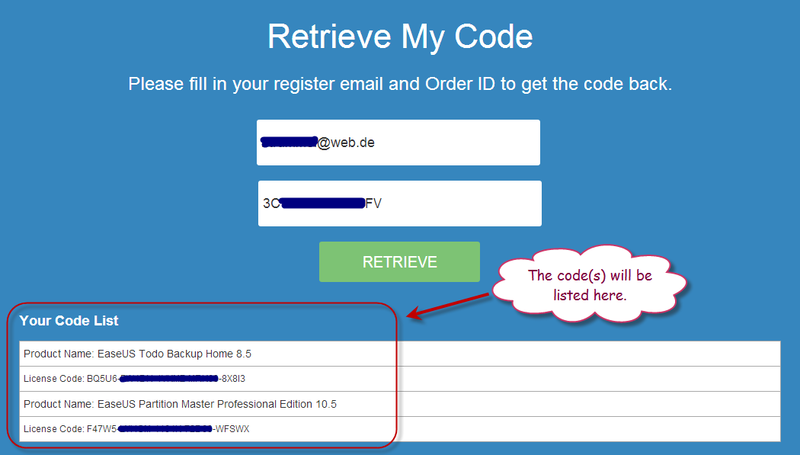 (2) Select the License Code you need and click reset. (3) Wait for a while and the system will try to release the license code at background. Once you see the pop up message with The code has been reset successfully, please use the license code to activate the product again.